This is all dynamic current content, in the sense that it is updated regularly, and reflects current conditions and images as viewed specifically from Countryside Lake right now. (calculated for Countryside Lake, right now. 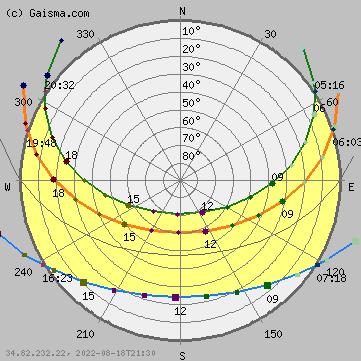 This plot shows the current extent and position of the auroral oval in the northern hemisphere, extrapolated from measurements taken during the most recent polar pass of the NOAA POES satellite. 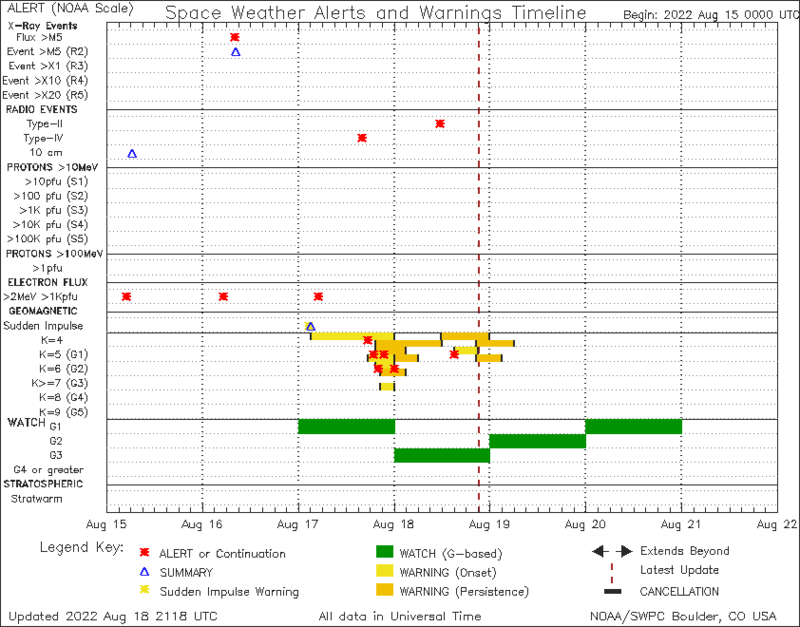 The statistical pattern depicting the auroral oval is appropriate to the auroral activity level determined from the power flux observed during the most recent polar satellite pass. The power fluxes in the statistical pattern are color coded on a scale from 0 to 10 ergs .cm-2.sec-1 according to the color bar . The pattern has been oriented with respect to the underlying geographic map using the current universal time, updated every ten minutes.